Awards: "Winner of several awards, including Best Debut at the 2002 New York Expo of Short Film"
Inspired in part by a novel written by author Kobe Abe, The Box Man was a true labor of love for its director, Nirvan Mullick, who conceived the project while a film student at CalArts. As it turns out, this stop-motion animated short would take him two and a half years to complete, with Mullick constructing everything himself, from the main puppet to the city’s brick walls (which took about 6 weeks to detail). Fortunately for him, his hard work paid off in the end. 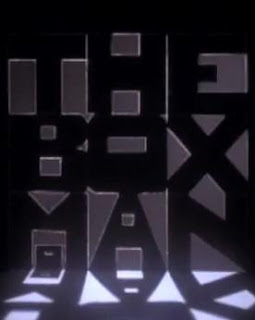 Winner of various awards (among others, it took home the Best Animated Short film award at the 2002 Cinequest San Jose festival), The Box Man is a masterwork of paranoia and fear, with its shadowy streets and dark corners reminding one of the great film noirs of the 1940’s and ‘50s. And even though its story (a mysterious box) is quite simple, the movie offers up some jarring images that, in the end, are more disturbing than either the box or its occupant. That Mullick accomplishes all this in only a few minutes of screen time makes The Box Man all the more impressive.